You’d be forgiven for missing Apple’s latest iPod touch refresh in the months leading up to the company’s big fall hardware event, but if you’re in the market for a smartphone without the cellular stuff (what we used to call a PDA), then the iPod touch is the only game in town. Apple could have let the product die. Its previous update, back in 2012, was during the iPad 2 era, and it was unclear in the years following whether Apple would let the market cede to older iPhones or smaller iPads. 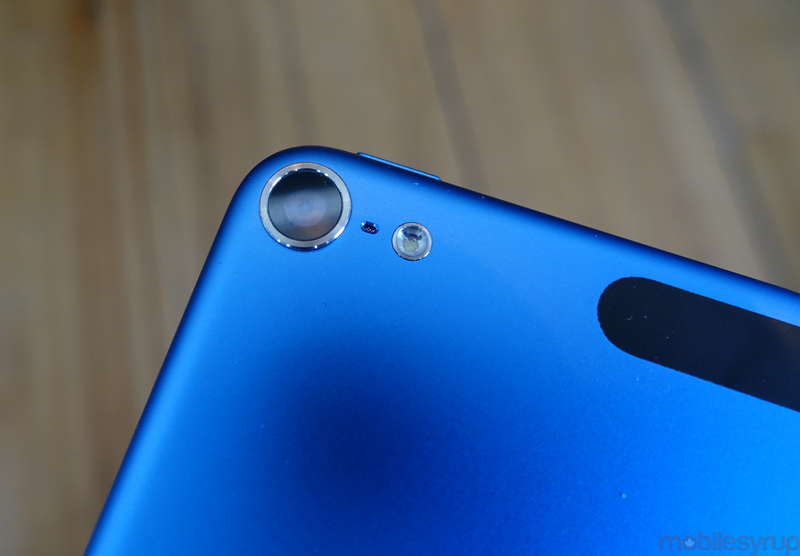 But the sixth-gen iPod touch is no mere refresh: it brings the best parts of the iPhone 5s and iPhone 6 into the familiar and friendly iPod form factor, maintaining the one hand-optimized 4-inch 1136×640 pixel IPS display with the iPhone 6’s A8 chip. It’s easy to see why Apple made the switch, too: the iPod touch is a casual gamer’s dream product, and Apple clearly intends to double down on that market. Perhaps even more important is the upgraded iSight camera, now an 8MP shooter similar in quality to the iPhone 5s. For younger kids and teens without an iPhone, or a smartphone in general, the iPod touch opens up the world of Snapchat, Instagram and other visual social networks without incurring the multi-year contracts or multi-hundred dollar price points that come with them. 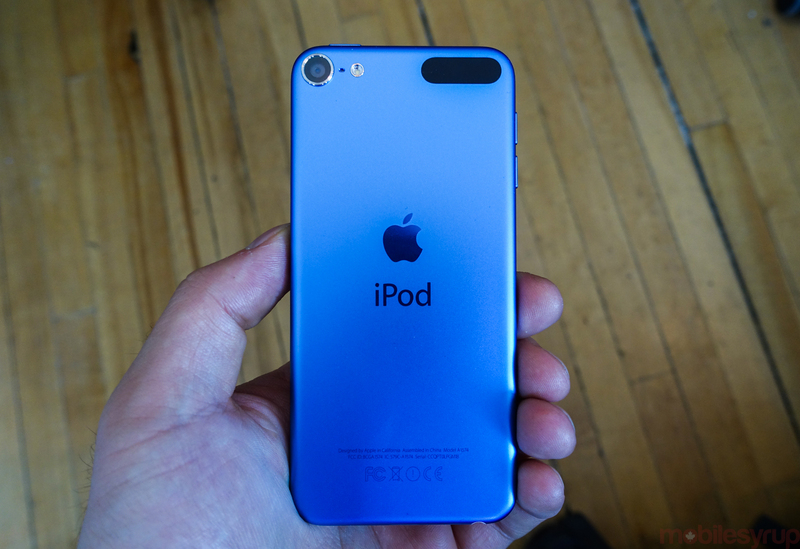 In fact, other than the lack of Touch ID, which is curiously absent from the new iPod touch, this generation is closer than ever to the iPhone it inspired all those years ago. And why shouldn’t it be? The A8 chip has done so well for the seventh-generation iPhones and iPads, increasing their usage share in practically every market. The iPod touch, now relegated to the accessory wall inside Apple Stores, just needs to ride the proverbial coattails of its cellular counterpart, filling the gap for people eager to invest in the iOS ecosystem without wanting the larger display of an iPad or the excess baggage that comes from owning a smartphone. 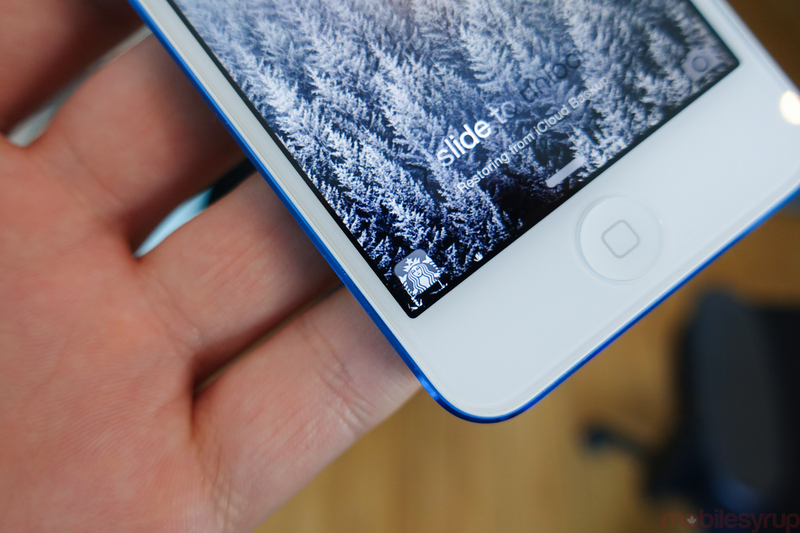 The dual-core A8 chip inside the new iPod touch is clocked slightly slower, at 1.1Ghz, than the iPhone 6, but is required to push fewer pixels. In any case, the minor difference in synthetic benchmarks doesn’t really translate to real-world use; the iPod touch feels just as fast to use as the iPhone 6 or 6 Plus. I used the iPod touch for about a month as part of my daily routine, connecting to home or remote WiFi whenever the signal was in reach, tethering from my iPhone or Android device whenever it wasn’t, and found that it performed the largely perfunctory functions of a smartphone in all but two areas: calls and text messages. But even those carrier-dependent functions are, year over year, becoming anachronistic as we move increasingly towards IP-based services like FaceTime Audio, iMessage, Skype, Google Hangouts and other messaging platforms. The iPod touch can also function as a great controller for within the home. I have a number of iOS-dependent smart things in my home, from the Apple-branded product like Apple TV-enabling AirPlay, to connected speakers like Libratone’s AirPlay-enabled Live to my beloved Sonos Play:1. While perhaps an expensive universal remote, the iPod Touch fulfils those roles while maintaining its portability. Every morning I use the iPod touch as a coffee-brewing aide. See, the App Store has this wonderful tool developed by Kohi for making coffee in vessels like the AeroPress, Espro Press and Chemex, and I rely on it. 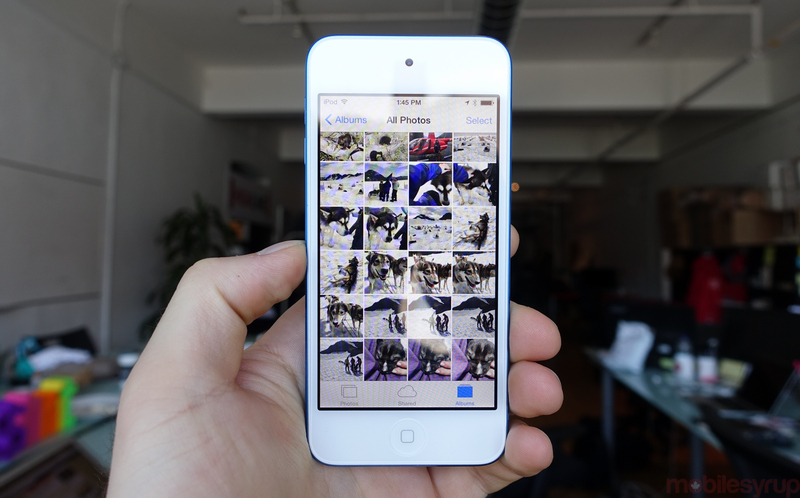 When you can’t find an equivalent tool on Android, or your iPhone isn’t close at hand, the iPod touch is perfect. It’s also a great music player, if you will recall its original purpose. Now that Apple Music has hit the scene, and every iCloud user gets three months of free streaming with the option to cache for offline listening, the iPod touch retains its place as a great music device. It has received the same internal amplifier and DAC upgrades as the recent iPhones, so music sounds incredibly good, with low noise levels and flat equalization that keeps song and voices sounding as they should. The amplifier also pushes most headphones below 64 ohms without distortion or clipping, with full rich timbre and bass. The device also comes with a new 8MP rear camera, similar, but slightly below in quality, to the iPhone 6 — it’s more akin to the iPhone 5s. Still, for a $249 device, the fact that it can shoot crisp daylight images, relatively noise-free low-light shots, 43 megapixel panoramas, and 1080p video at 30fps, is incredible. And having an iPod touch to take photos at a concert is always preferable to having an iPad at the same event. It’s not a great device for everyone — there’s a reason Apple has removed it from its home page — but the iPod touch fills in the gaps in Apple’s display size lineup, giving users who want a small, light and ultimately more consumable product to take to the gym, out on a run, or to keep at home. 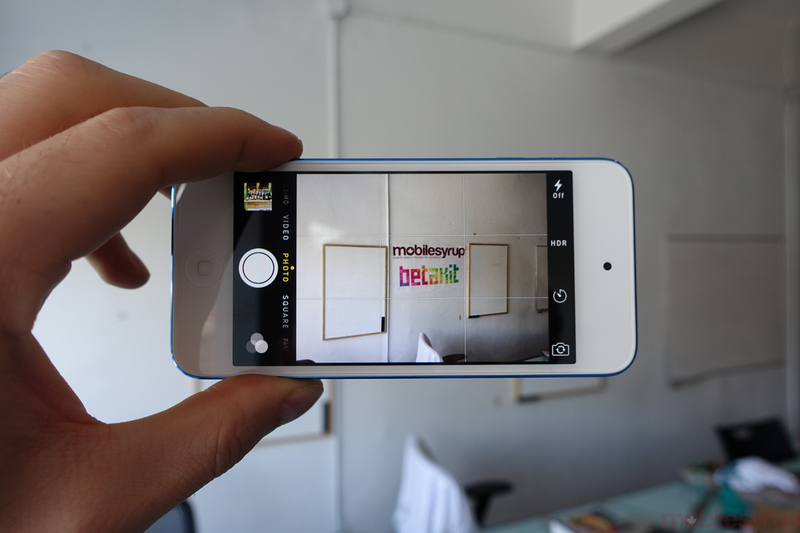 It does 90 percent of what an iPhone does in a lighter, thinner frame and at a quarter the price. The problem, for me at least, is that returning to that minute 4-inch form factor after spending a year with larger iPhones, and many years with enormous Android devices, was disconcerting. The iPod’s cramped vertical keyboard, especially, took a lot of getting used to. 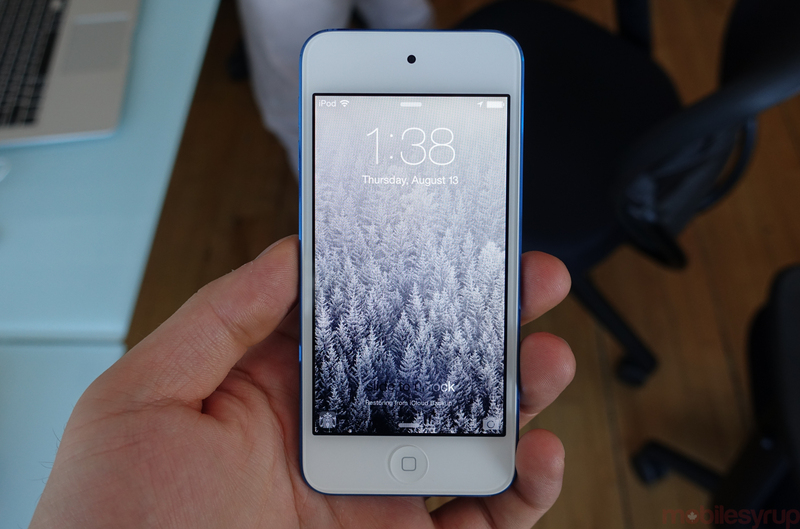 The iPod touch 2015 is available in six colours — silver, gold, Space Grey, pink, blue and red — starting at $249CAD for the 16GB version, $299 for the 32GB version, $369 for the 64GB version, and $499 for the 128GB version.